Jonathan Scragg is a litigation partner in Duncan Cotterill’s Wellington office, one of the foremost insurance law litigation firms in the country. 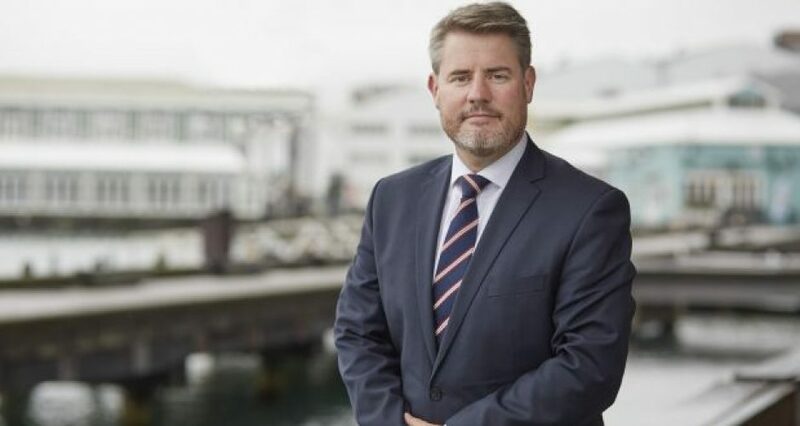 He has just become the first New Zealander to sit on the global association of insurance law groups, Association Internationale de Droit des Assurances (AIDA) and recently stepped down after four years as president of the New Zealand Insurance Law Association Inc (NZILA). Duncan Cotterill maintains a pre-eminent position as a provider of legal services to the insurance market in New Zealand. Close to 20 per cent of the firm’s revenue comes from the insurance sector, including through handling some of the Christchurch earthquakes’ most significant and challenging cases. The firm acts for the majority of the major insurers operating in the New Zealand market. The firm belongs to the global Terralex Group and is on the panel of legal advisers for leading international insurers, including AIG, IAG and Vero Liability. The firm prides itself on facilitating better networking, thought leadership and market interaction in respect of insurance law and other legal issues. This reflects two of the firm’s core values: creating meaningful partnerships, and having passionate commitment in the work the firm does. The firm’s national insurance law practice has put the firm at the forefront of insurance law litigation with Mr Scragg, 40, tasked with building the firm’s Wellington litigation and dispute resolution practice from scratch, since re-joining the firm from London 10 years ago. Mr Scragg had previously worked in the firm’s Christchurch office where he received his insurance law grounding, as well as clerking in the High Court at Wellington prior to that. A Cleary Memorial Prize recipient and respected civil litigator in commercial, insurance and public law disputes, Mr Scragg has covered a lot of litigation ground since moving to the firm’s capital office. He regularly leads cases for clients in the High Court and appellate Courts as well as in mediations – where many cases are now resolved by settlement. A recent highlight for Mr Scragg has been assisting in forming the firm’s close association with one of the world’s leading insurance law experts, Professor Rob Merkin QC. (pictured). The combination of a leading insurance academic and drawcard like Professor Merkin QC has further elevated Duncan Cotterill’s presence in the insurance litigation market, as that market weathers changes brought about through earthquake issues, recent legislative reform in the health & safety sector, changing dynamics in the insurance industry generally and, for lawyers, the increased involvement of third party litigation funders. A particular issue facing the local insurance market is the rise of litigation funders. Mr Scragg sees the involvement of such funders as something the insurance market is watching closely because, he says, the market will inevitably find itself on the receiving end of funded claims. Duncan Cotterill partner Aaron Sheriff (above) was, for instance, involved in acting for a defendant in a recent action funded by the LPF Group over the failed David Henderson Property Ventures Group. In that case, PwC and other parties were sued for more than $300 million. The case settled in a confidential deal in 2017. There is some nervousness in the insurance market, Scragg says, where there could be a perception that some funders are simply out there looking for and potentially stirring up litigation to fund, as an investment opportunity. He concedes that funders certainly have a role to play in the market. A particular focus area for many funders is identifying potential class actions which without third party funding, may not otherwise find their way to Court. Mr Scragg says funded claims, and class actions, are a real growth area with New Zealand so far having largely avoided some of the major systemic issues in the financial markets and elsewhere that have lead to class action claims overseas. Mr Scragg said there is a rising cost to purchase professional indemnity insurance, both in the domestic and international insurance markets. He said lawyers and other professionals who forsake PI cover either at all or at sufficient levels are being foolhardy. Although no local PI insurers had withdrawn from the local market, most insureds were experiencing increasing insurance premiums. The growth of mediation is another significant trend in dealing with insurance litigation today and, indeed, in commercial litigation generally. “Although it is termed an alternative dispute mechanism, mediation is very much part of the mainstream litigation process,” he says, noting that the great majority of commercial and insurance disputes now go through a mediation process, which is “blossoming”. Mr Scragg notes that young lawyers today have less opportunity to “get on their feet” in court as much of the courts’ administrative processes are dealt with at telephone case management conferences and on the papers, rather than by in person court appearances. Mediation can provide an opportunity for younger lawyers to take an advocacy role.